← What good can come from it? The worst lies are the ones we tell ourselves. 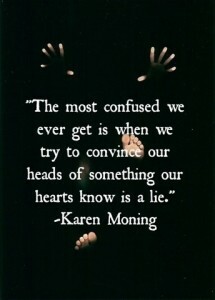 They are the lies we repeat over and over again, hoping that repetition will make them true. It’s scary to own your own actions. It’s safer to hand them over to someone else. There’s a power, a strength, and grace that comes from being in a position where you truly realize that you are the one who made the decisions. For good and ill, at some point in time you have to accept your actions and the outcome, good and bad. Bill Phillips gave all of us a tool box. It doesn’t matter who he got the information from, it doesn’t matter what he did or didn’t promise. He put together a set of tools, and handed them over to you. You then made a decision. Is the person I am now, the person I want to be? For so many, the answer was no. You didn’t want to stay fat and miserable. You didn’t want to stay in the bad relationship with your wife. You didn’t want to keep drinking yourself into oblivion. You didn’t want to keep believing that it was your fault you got raped. You didn’t want to keep figuring out what you did wrong that made Dad hit you. It was time to let go of those lies. Man oh man did it hurt. Each rep ripped away another layer. Each HIIT session forced you to look at who you’d become. Each day was a decision. Do I stay where I am now? Or do I reach for this impossible dream? Can I actually be the hero that I see in my dreams? Can I be fit? Can I be happy? Can I be happy? That question burned through you. Over and over. Because for years you lied. You told yourself that you were happy. You knew better. So you took those tools, and you bought into the promise. The promise that you could fix this, and be better. Slowly, weight lifting stopped ripping you open and started to build something new. HIIT became less about running away and more about running towards. Then came the magic. You started to reach out to others. You reached out with an open heart and said, “Look at me. I’m doing this. You can, too.” And people listened. Slowly you started coaxing others forward. You shared the amazing journey and watched as these new folks blossomed. That’s when it happened. That gaping hole in your heart, the one you papered over with lies, started to fill up. More than just fill up, it started to heal. For the first time in maybe your whole life you understood what true happiness and contentment was. Remember that feeling. Remember the power. Remember the hope. Remember the peace. Remember how hard it was to get there. Now ask yourself one question: Do you feel that peace, that serenity, that hope, and that promise? You lost it. You know where and when. It happened so gradually. Seemingly out of the blue, Bill Phillips wanted YOU. Yes, you. He told you that your story inspired him. He just wanted to have the chance to get that story out to others. He wanted you to help him change the world. That’s pretty heady stuff. It tapped into that little broken part of yourself, the part we all have that never fully heals. Maybe this is the way to finish up the healing. Maybe it’s about getting your words, your story out to the world. In any case, you owed Bill. After all, it was his words and his program that brought you to this place. So you accepted his deal. I mean come on, who wouldn’t? This is the person you owe so much to! He wants you to help him. There’s promise of recognition, fame, glory, and money. Now that’s not the real focus of course. It’s the work. That’s what matters. But hey, a nice shiny medal isn’t a bad deal. The money will sure help out with the bills. I worked hard. I should be rewarded! Bill just wants to help people. Okay, so maybe he’s a bit rough. He’s got a bit of a mouth on him. Gosh some of the things he says are kind of mean. But he obviously means well. If I’m patient, he’s going to help me achieve my dreams. He’s going to help me find that last piece I need to heal. How dare people say mean things about him? How dare they question him! Can’t they see he’s trying to help? Of course I can’t mention that I haven’t gotten paid yet. If I do that, he might get angry and not pay me. Which of course is my fault. It’s obvious that the people complaining they didn’t get what they were promised did something wrong. They were rude. They were ungrateful. They spoke out when they shouldn’t have. Why don’t they learn? Don’t make waves, don’t speak out, don’t question. He’s a good man, doing good things. I am just not quite good enough or smart enough to understand why he does this. It’s just like when I was married. If I just learn the right thing to say, I won’t get yelled at. Besides, he apologized. He promises it won’t happen again. I just need to be better. If I show him I’m loyal, then he has to give me what he promised. So I’ll accuse those who speak out of being liars. I’ll call them trouble makers. I’ll say they don’t have generous hearts. If I say it often enough, that will make it true. He will finally recognize how good I am being. I’ll get my reward. 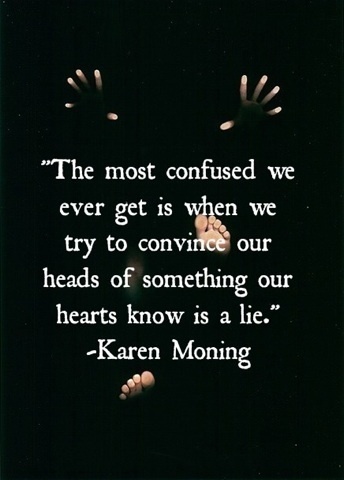 The lies we tell ourselves are always the worst. Piece by piece, you undid all the work that got you out of the hole you were in to begin with. By the time you realized how bad it got, you were stuck. Do you step up and get blackballed for speaking out? Do you try and negotiate? Before you realize it, you find yourself with a pen out, signing away your ability to speak in exchange for a promise that you get money or maybe peace of mind. Funny thing. That money doesn’t make that hole in your heart feel much better. It seems to eat away at it. Trapped, you’ve got no way out. You can’t figure out a way to stop the lies. Your body rebels, the weight slowly crawls back, like an anaconda, squeezing you as it moves up your body, making it hard to breathe. You just want a chance to breathe again. You want to scream, “I’m sorry.” You can’t. You just live with the lie, unable to share your words, unable to share your pain. You just sit there and bleed, while others walk past. People continue to be hurt, and you just sit and do nothing. There’s nothing you can do. Your hands are tied and man it hurts so much. Remember how much it hurt when you started your journey? Remember the workouts that left you stripped bare, tears streaming down your face as you fought through the pain in your soul? Remember when you finally recognized those lies you’d been telling yourself and said, “Enough?” You faced the truth, and that’s when things started to change. You admitted that things were not okay. You admitted that you needed to make changes. You accepted your role in where your life was. You owned your actions. Then you made the decision to change. 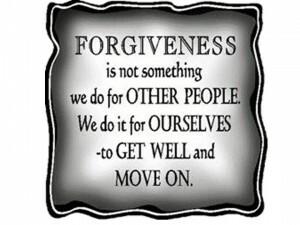 You made the decision to make your apologies, to ask yourself for forgiveness, to ask others for forgiveness. You stepped away from your past, acknowledged your actions, and moved forward. Maybe you can’t ask for forgiveness just yet. Maybe the threat of a piece of paper holds you back. That first step forward is always the most frightening. So today let me give you a hand. 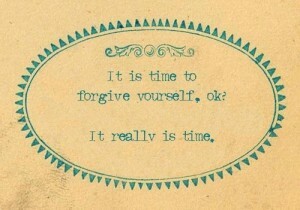 I forgive you. I forgive you for the lies. I forgive you for the insults. 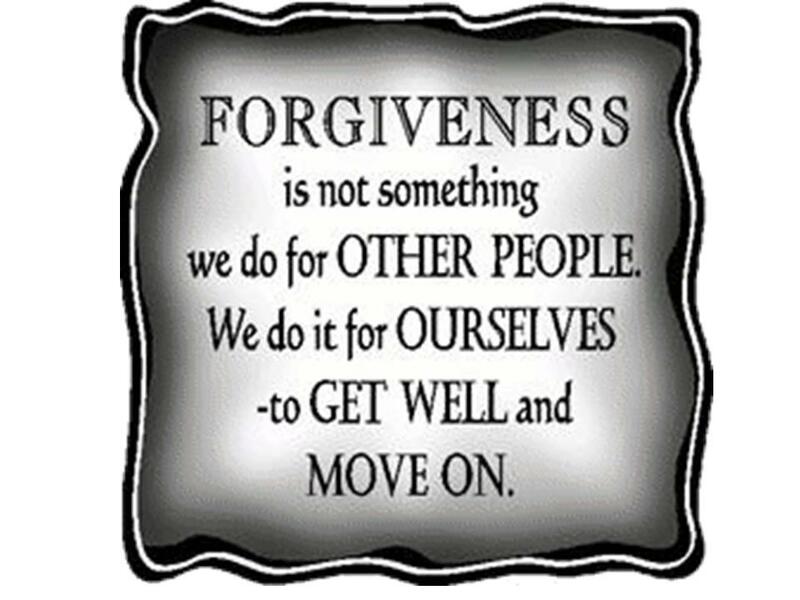 I forgive you for hurting me. I forgive you for being a bully. I forgive you for not being strong enough. I forgive you. With clear eyes and an open heart. I forgive you. 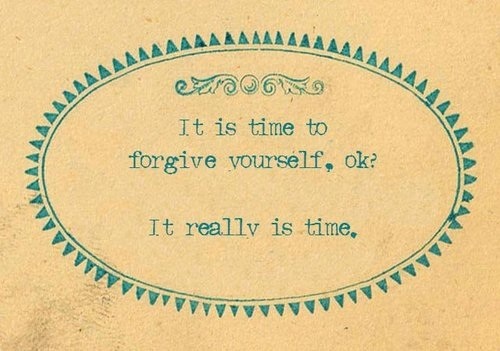 Now it’s time for you to forgive yourself.